Pistol red dots are all the rage these days. A pistol red dot sight is a growing trend that started in the competition circuits. The trend has spread into the tactical and concealed carry world. The use of a red dot is growing not because it’s a fad, but because it’s effective. A red dot on your handgun will make you a faster and more accurate shooter. Over long distances, a red dot on a pistol is much more precise and much easier to hit targets with. A pistol red dot does take some training to learn, but it’s worth it. A solid red dot optic can be used for hunting, self-defense, tactical applications, and even just for fun and competition. To use a red dot effectively you need to buy a high quality, well-made model. Like anything that gathers in popularity, there are tons of companies jumping in to produce red dots. Some are great; some are crap. We are here to show you the best pistol red dot sights available today. Vortex optics is well known for their red dot optics. While they are expanding into a variety of different optics their red dots are well known for a reason. The Vortex Venom is one of two red dots they make for handguns. The Venom is an adaptable design that can be used for a variety of roles. It can be used in competition shooting, concealed carry, and general plinking. The Venom is priced at a hair over two hundred dollars but is worth every cent. The Venom features an unusually small 3 MOA dot or a more average 6 MOA dot. A 3 MOA dot is a little lacking for quick action close quarters shooting but is perfect for longer range precision shooting. It is still faster than traditional iron sights at close quarters. The 6 MOA is a great compromise in size for both close quarters use, and long range accuracy. The Vortex Venom has a unique lens system. Its odd shape gives the user a wider field of view, which is always a benefit. The pencil thin lens housing doesn’t get in the way when scanning for targets. The lenses are fully multi-coated to reduce glare and give a nice clean sight picture. The Venom also has ten different brightness level ranging from a barely visible dot for low light situations to a holy crap that’s a bright light for daylight shooting. There is also an automatic adjustment mode that will adjust the reticle brightness as the situation changes around the optic and shooter. Construction is top notch with the entire system being made from aircraft grade aluminum. The Venom is sealed to prevent any buildup of moisture, and to prevent any dirt and debris from getting into the system. The lenses are also Armortek coated. This proprietary system protects the lens from being scratched or damaged. The Vortex Venom isn’t made for war, but for competition, concealed carry and for having a little fun the Venom is perfect. It’s priced under 250 dollars and carries one of the best warranties in the business. 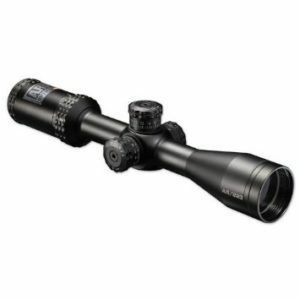 The Vortex Venom is an excellent all around optic that fits the popular and prevalent Burris sight base. The Trijicon RMR is what started the fascination with micro red dots. Initially, this optic was designed to be used on as a secondary optic on rifles and machine guns. Over time the fact the Trijicon RMR was a small and light optic made it desirable for handgun shooters. Shooters in action sports are always looking for the next advantage. The Trijicon RMR offered an extremely tough and very reliable optic for modern handgun shooters. The Trijicon RMR is a go to war optic. An optic designed to be used in combat, and capable of taking a beating. The Trijicon RMR is a natural choice for a tactical handgun in need of a red dot. The RMR is made from 7075-T6 aircraft grade aluminum. This material is extremely strong and tough. The same material is used to make AR lower receivers. The unique housing shape is also intentional. It drives force from a major impact away from the lens. The Trijicon RMR comes in a wide variety of different models. This specific model is known as the dual illuminated version. Dual illuminated means the optic runs off two power sources. The first is a traditional battery option that will power the RMR for hundreds of hours. On top of that, you have a strip of fiber optic material that runs over the top of the optic. This fiber optic material absorbs light from the world around it to power the optic. This means you have power in the dead of night and don’t have to rely on a battery during the day. The Trijicon RMR is such a popular optic almost every company that produces an optics ready handgun has a Trijicon RMR option. The dot size varies quite significantly. Because the optic is used for rifles, shotguns and even belt-fed machine guns the reticle varies in size and shape. For a tactical handgun, you probably want to go with a larger dot for close combat. The 7 MOA or 9 MOA dot would be my first choice for a combat handgun. A tactical handgun is designed for combat. The fact the Trijicon RMR has been used in combat and has been tested in battle is a major consideration. The Trijicon has been proven to be a reliable option in combat and one I would and have trusted my life to. Burris was another company who jumped into the miniature pistol red dot pretty fast. In fact, while Trijicon is the most well known for handgun red dots, Burris embraced the concept early on. The Fastfire series is an accurate name for this handy little red dots. One of the most attractive elements of the Burris FastFire 3 is its price. At about half the cost of the Trijicon RMR, this little beauty shines. Is this an optic you’d take to work? Probably not, but for competition, it’s a great choice. Even though this isn’t the kind of optic you’d take to Iraq to fight ISIS, it’s still a tough and durable optic. The Burris Fast Fire is perfect for competition by design. Burris heavily pushes this as the best competition red dot optic. Fast moving competition shooting like 3 Gun, USPSA, IPSC and more are perfect for the miniature red dot. The Burris Fastfire 3 allows you to rapidly put rounds into a torso sized target rapidly and accurately. The Fastfire is quite adaptable and is perfect for both long and extended range shooting. The Fastfire 3 is well thought and well executed in design and function. The sight allows you to access and change your battery from the top. A lot of designs force you to remove your optic from your handgun to change the battery. This can be a hassle when you consider having to apply thread lock or lock tite every time you have to change the battery in other designs. You can make changes to the windage and elevation to adjust the reticle on target without the use of tools. Once the adjustments are made they don’t move either. Once your optic is installed and dialed in it’s good to go. The optic is made for simplicity and reliability. The design is emphasized for competition. The system has a convenient low battery indicator. The system also has a button to adjust the brightness levels. There are three different brightness levels, and one automatic setting The automatic setting will adjust the brightness for you. This is incredibly handy and very nice for transitioning from shade to bright light. If you shoot competition, you owe it to yourself to take a look at the Burris Fastfire 3. The C-more brand red dot optics have been around for quite some time. Often seen is action movies because they tend not to block actor’s faces the C-more is one of the original pistol red dots. Way back when before modern miniature red dots the older C-more systems were popular for pistol competition. There was a wide variety of mods to attach the big C-more to a variety of handguns. 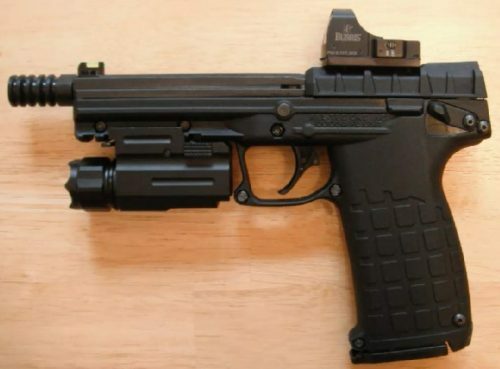 These days the C-more STS has replaced the older C-more sights as the dominant C-more pistol sight. STS stands for Small Tactical sight. C-More revolutionized shrinking red dots to the tiniest they can be. This takes it a step further and is even smaller than standard C-More sights. The STS system is one of the best suited for concealed carry. The dot is extremely bright and easy to acquire. You can go with a small, precise 3.5 MOA or a bigger 7 MOA. The choice if yours. The C-More STS system is perfect for concealed carry for a variety of reasons. The battery can be accessed from the side with a removable battery tray. This means you don’t have to remove the optic to swap the battery. The STS has ten different setting for brightness and an automatic brightness adjustment setting. The STS has a three position on/off switch. The first position is of course off, after that, you have the on switch and then automatic brightness adjusting. Once the optic is turned on it automatically goes to the highest brightness setting. In a pinch, regardless of the external light situation, you’ll be able to see the dot and engage the threat. The adjustments do require a hex wrench. This is actually an advantage with a concealed carry optic. Because a concealed carry weapon is often pressed tight to the body the controls are often brushed against the body. The last thing you want to happen is for your body to start messing with your zero. The system is also waterproof, so much so that it is submersible up to a meter. The C-More STS miniature red dot is a perfect companion for concealed carry and is a tough and ready optic for self-defense. The Bushnell First Strike red dot is the perfect option for shooters either on a budget or looking to equip a plinking handgun. The Ruger Mark series, Smith and Wesson Victory, or Beretta Neo are all awesome 22 LR plinkers that are perfect for the Bushnell First Strike. The Bushnell First Strike is not designed for serious competition, combat, or concealed carry. It is the go-to optic for plinking and having a good time. The Bushnell First Strike is designed to mount to any picatinny rail. This includes any and all scope rails. The First Strike is a remarkably simple optic that is also incredibly affordable. The First Strike costs a hair over a hundred dollars and is widely available. For that price, you are still getting a durable optic. It is completely waterproof, fog proof, and shockproof. It can withstand the increased recoil of a reciprocating slide. The brightness level of the 5 MOA reticle is self-regulating. It adjusts to the brightness level around you, and compensates when it’s too dark, and fixes itself when it’s too bright outside. Regardless of the time of day or the lighting, the Bushnell Red dot is ready to rock and roll. There isn’t a traditional On and off switch. Instead, you place a plastic protective hood over the optic. This will shut it off. Remember this optic is designed for having fun, not for war or concealed carry. Informal competition and plinking are where the Bushnell First Strike shines. At such a good price it’s also a good option to use as a trainer red dot system. The Bushnell First Strike is simple, surprisingly rugged, and quite precise. Red dots are a new phenomenon on pistols, and like optics on rifles, it’s not going anywhere anytime soon. Major gun companies are producing their pistols ready to mount red dots. How many are producing optics ready pistols? Let’s count them off. Glock, SIG Sauer, Springfield, and Walther are producing tier one weapons ready for red dot optics.